Las Vegas nightclubs, day clubs and gentleman’s clubs are unlike any other city in the world. With 20+ nightclub and lounge options and close to a dozen Vegas gentleman’s clubs and new day clubs in Las Vegas popping up every summer, there’s a lot entertainment venues to choose from. When it comes to a special occasion like a bachelor party, bachelorette party, birthday party or special weekend getaway, getting a VIP Table & bottle service at one of the top Las Vegas entertainment venues is definitely the VIP way to celebrate. Trying to get noticed? Get a Table Reservation. 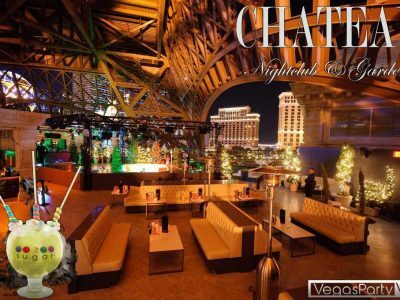 Unlike other cities where nightclubs offer seating and tables on a “first come, first serve”, Las Vegas nightclubs require you to reserve a VIP Table and purchase Bottle Service to have a place for the evening to sit. These clubs can get busy and no one likes standing all night. Have a stress-free night and dance the night away at your personal VIP Table. Avoid waiting at the bar for over an hour for adult beverages and have your personal waitress pour your drinks. Real estate in the top clubs is precious and adding a table to your VIP party package is the best way to separate yourself from the crowd of party goers. Here at VegasPartyVIP we have incredible, well established relationships with all the top Las Vegas entertainment venues so you can rest assured we’ll get you the best table location possible for your party budget. We also offer the “Pick-Your-Table” option. We have table layouts for most Las Vegas nightclubs & pool parties and this option allows you, the VegasPartyVIP customer, the luxury of knowing where you’ll be sitting prior to arriving at the club. Want a specific table location? We can get it for you. When you go out for a night on the town, you want to party in style. No waiting for hours in club general admission queues, or missing half the night waiting at the bar to be served. Our exclusive Las Vegas Bottle Service Packages guarantee you a great night out at the best nightclubs in the party capitol of the world. Whatever the occasion; bachelor party, bachelorette party, birthday party, or just a weekend getaway. 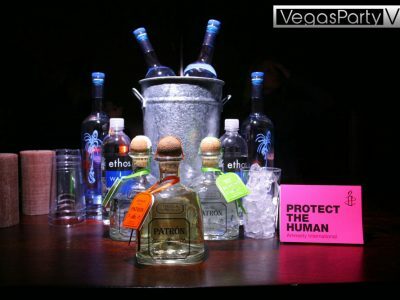 Party like a pro, and get the VIP treatment with Las Vegas Bottle Services Packages from Vegas Party VIP. With our connections at all the best Vegas nightspots, and our insider, hands-on knowledge, we will make sure that you get the best table reservations possible, hassle free entry and star treatment from the start to the finish of your night out. All our services can be tailored to what you want, and to fit any budget. Remember, in the best Las Vegas nightclubs if you don’t have a VIP Table then you don’t sit down! This means standing all night. And if you don’t have a Personal Waitress, it can take a while waiting at the bar just to get a drink. What is Bottle Service? What do I get? A reserved table with seats and couches, a roped off area for your group, VIP access. This is your table for the evening. Our hosts purchase your tables ahead of time, and seat them when the club open, ensuring best seating possible for your table minimum. Your personal waitress is there to serve you for the night, so you don’t have to lift a hand. She will pour and refresh your drink of choice, get you shots & drinks from the bar, watch over your table, etc. This large human being stationed in your section is suited to watch over your table area and group, along with helping maintain order in your area. They’re there to protect you, the VIP Table client. The Host will also pre-pay for your table and get your bottles ready before you arrive. A place to SIT. Or stand on LOL. (permitted at most clubs if that’s your style). This is the MAJOR difference between clubs in other cities. If you don’t reserve a table, you must be invited to one in order to sit in the club. There are no bar stools or open couches to sit on. LADIES… You can come and go as you please. Hit the dance floor for a bit then recover back at your table. Leave that creepy guy who doesn’t get ‘the hint’ on the other side of the rope. Have a seat, take your shoes off for a second. Dance on the couches! GUYS… Tables are prime real estate. Space in a crowded club is like water in a desert. It doesn’t take much convincing to get new friends to join you for a drink or to sit and chat… friends of the female persuasion …need I say more? A personal waitress assigned to tables in your area. In most cases, before you finish you cocktail, your waitress will already have your new drink poured and ready. The service staff in these clubs are very efficient, well-dressed, attractive, attentive people well deserving of the auto-gratuity that is automatically included in our bottle service pricing. Fighting to get to the bar is a real thing… At times, it can take almost an hour to get drinks and be a real buzz kill in the middle of a great night when your forced to deal with the 100 people waiting for 4 bartenders to serve the thirst savages. Avoid the cattle call, reserve a table. A security host will make sure that only people you approve are in your table area. They’re also around to help you enjoy your night. Inviting appealing guests for you, reminding you what you can & can’t do in the VIP area, clear out the ‘Unwanteds’ away from your friends are just a few of the helpful services they provide. If your trip is a special event then make it SPECIAL! You’re in Vegas! Foggy memories of trying to hunt down your friends on the dance floor and getting bumped around in walkways is not what you want to walk away with. Party as a group, at a table. Ca$h is King in Las Vegas and tipping will get you everywhere. Want a better table? We can tip for that. What a photo with the DJ? We can tip for that. Talk with your host. They know Vegas and are here to help you. In some cases, VIP Tables allow special access to bathroom line privileges or even separate VIP bathroom facilities. Tip a security host and you’ll cut the bathroom line. Guys, if you tip the security host in your section, he will help introduce you to some nice young ladies. If you’re approaching the last 1/4 of your last bottle, and don’t want to spring for another one, SAVE IT. Just order drinks a la carte from your waitress. Bottles are the ‘place holder’ in the nightclub world. When the bottles are gone they will clean up your table setting, fresh ice, mixers, cups etc. Instead tip her and she’ll always be close by for your next order. It’s Las Vegas, the Bottle Service capital of the world! The City of Sin that never sleeps is home to some of the biggest, best, and most popular nightclubs on the planet. Bottle service is the true VIP way to experience these amazing elite venues & top DJ talent. We’re Las Vegas’ Bottle Service experts and here to help make this a trip to remember! Guarantee a fantastic night out with our Las Vegas Party Packages. 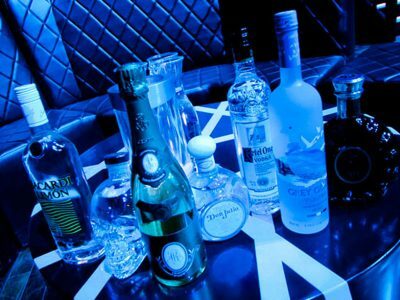 Check out these Bottle Service Packages, or speak directly with a VIP Host to book a Custom Party today!